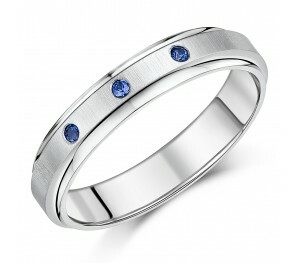 A blue sapphire diamond set 5mm titanium wedding ring with matt and polished finishes. This titanium wedding ring offers something different and special on your special wedding day. The matt and polished finishes compliment each other to create a contemporary elegant style, and the three blue sapphire diamonds add that extra sparkle you're looking for. The reverse D shape, with a concaved profile edge, gives a smooth, sleek look with a rounded inside for comfort.Combine fashion with value for money, without compromising on either. Set with sparkling sapphire diamonds. 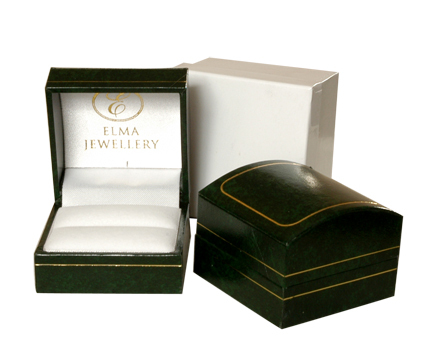 Very good quality jewellery. 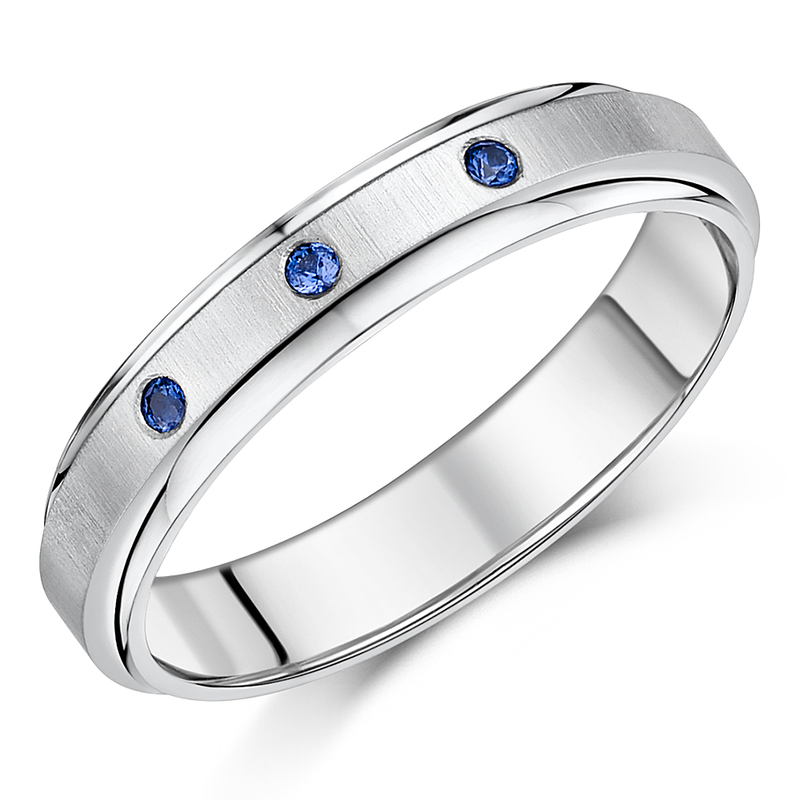 Ordered a titanium wedding ring set with sapphires, had to trawl through the internet to find one that my partner liked and the one I ordered stood out from the rest. Very pleased with quality and service.